Sunday Night Nitro’s Cruiser weight Champion Matt Wood and Approachable Welshman Huw take the helm this week. 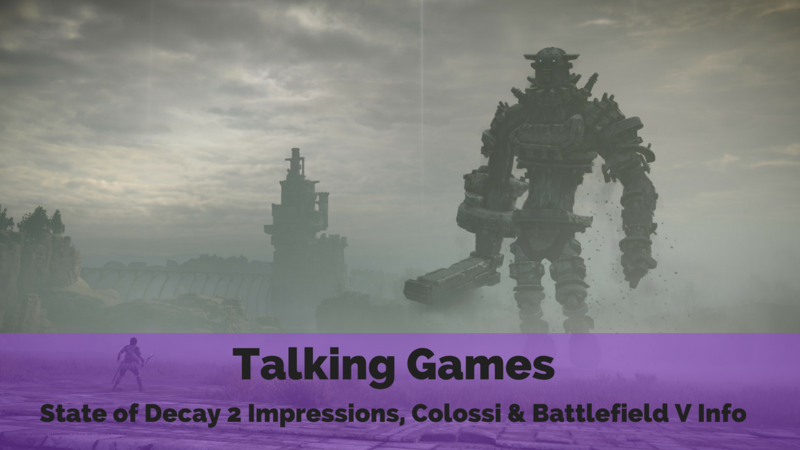 We kick things off (after a random chat about languages) with Matt declaring his rediscovered love after playing the PS4 version of Shadow of the Colossus, a love that’s shared it’s fair to say! Also on the cards are first impressions of Xbox’s latest exclusive, State of Decay 2, Destiny 2, Peggle (yes, Peggle!) and the lowdown on the big reveal of Battlefield V. All rounded off with a mini rant from Huw as a result of some of the reactions to BF V as well as discussing the upcoming slate for e3. HUMBLE PARTNER LINKS: By making purchases via these links, you can help us with the cost of what we do as no extra expense to you and money goes to charity too. It’s WIN WIN! Humble Monthly We get $10 for every new subscriber at no cost to you!